You might not see it in the comics or movies, but even the Caped Crusader needs to use the restroom from time to time, if only to straighten his Batsuit or touch up his makeup for the next scene. 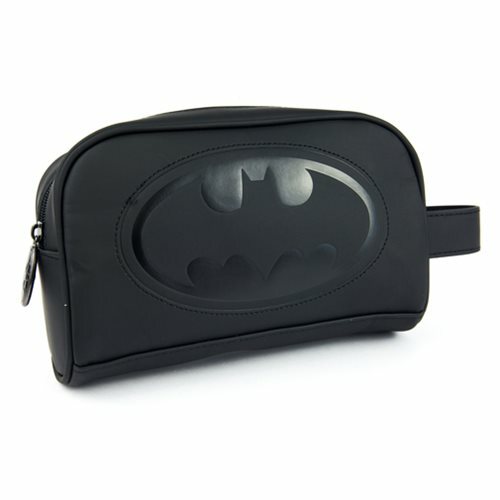 Maybe that's true for you as well, which is where this very cool Batman Embossed Toiletry Bathroom Bag comes in. It features the Bat emblem, a handy handle, and zipper closure.Ages 13 and up.